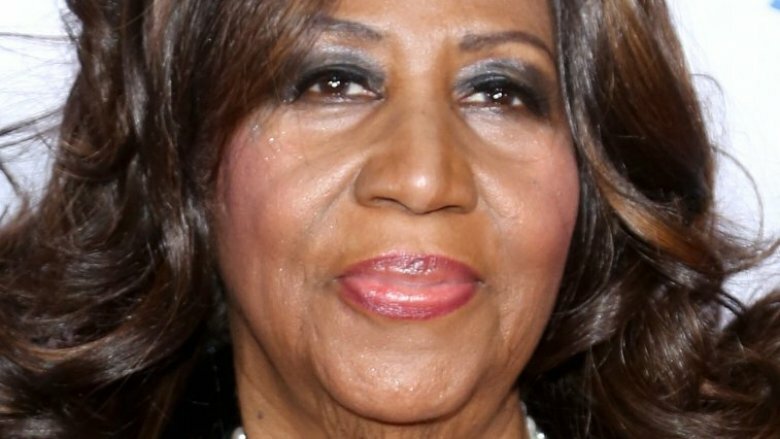 Legendary singer Aretha Franklin's health has reportedly taken a turn for the worst. On Monday, Aug. 13, 2018, multiple media outlets reported that the Queen of Soul has been hospitalized in Detroit, Mich. amid her apparent battle with cancer. According to sources cited by TMZ, the music icon's doctors allegedly told her friends and family weeks ago that "she could go any time." A local news anchor in the city, WDIV's Evrod Cassimy, was among the first to report on Franklin's current medical condition following Showbiz 411's initial exclusive. "BREAKING NEWS: I am so saddened to report that the Queen of Soul and my good friend, Aretha Franklin is gravely ill," he tweeted early Monday morning. "I spoke with her family members this morning. She is asking for your prayers at this time. I'll have more details as I'm allowed to release." "Just got a chance to speak to Aretha Franklin," he wrote in a follow-up tweet. "She is resting and surrounded by close friends and family." Journalist Roland Martin also shared an update on Franklin's health via Twitter alongside a snapshot of the two together. "Folks, I've known for several months," he wrote, in part. "The Queen is surrounded by loved ones. That's all I will say for now." As Nicki Swift previously reported, Franklin, 76, announced her retirement in February 2017, years after her 2010 cancer diagnosis. "I must tell you, I am retiring this year," the "Think" singer told Detroit's WDIV Local 4 at the time. "I feel very, very enriched and satisfied with respect to where my career came from and where it is now. I'll be pretty much satisfied, but I'm not going to go anywhere and just sit down and do nothing. That wouldn't be good either." After the recent news of Franklin's hospitalization broke, countless fans and celebs took to social media to express their love, prayers, and support. "My prayers are with Aretha Franklin & her family during this difficult time," Missy Elliott tweeted, adding, "We MUST CELEBRATE the Living Legends while they are here to see it. So many have given us decades of Timeless music." "Adding my prayer to the galaxy of prayers for Aretha today," Hamilton star Lin-Manuel Miranda wrote. Meanwhile, Ciara shared, "Praying for Aretha Franklin and her family right now!" Our thoughts are with Franklin and her loved ones during this difficult time.